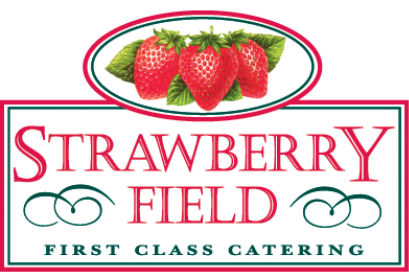 Strawberry Fields get to work with some of the very best event suppliers in the South West. Choosing the right team for can really help make your event surpass everyone's expectations. From Florists to Photographers, Marquees to Magicians you should be able to find companies here who really do put clients first. All suppliers are here on merit and we have worked with each one over a number of years and feel confident in recommending their services. As well as the venues we are already associated with, there are a number of other venues we are able to offer catering within. Creating perfect memories of your day with relaxed and informal photography. Beautiful pictures of moments you want to remember forever. Offering a complete professional service with packages or bespoke quotations available on request. Beautiful, Unique Wedding & Portrait Photography based in the West Midlands. A photojournalistic style of photography ensures that your memories are captured with emotion, in an unobtrusive way. You will hardly notice she's there & yet she has a talent for capturing the intimate relationships that unfold between family & friends. Chris & Gillian Dawe, a husband and wife photography team, specialising in contemporary wedding photography. With a friendly approach, often mentioned by couples and guests alike, they combine professionalism with an atmosphere of fun. They take beautiful photographs which last a lifetime and provide wonderful memories. With a style described as unpretentious, personal, emotional & spontaneous. This allows Naomi to capture your wedding story as you would like it to be told in images you will cherish forever. Jessica is a fully qualified photographer specialising in all social events covering the South West. The style of photography used is distinctive in the way it incorporates reportage and direct groups to achieve a natural record of the people involved. Host Event Management is a an award winning wedding and event management company based in South Gloucestershire, covering the Cotswolds, Bristol, the South West and further afield if required. Olivia is so passionate about helping you create the wedding of your dreams, thick of her s your very own personal assistant! Their one-to-one planning and design process is tailored to each clients individual requirements, creating a fun, rewarding experience which is sure to create unforgettable results!